You can pick me right up off the floor right now. I landed here when I checked out the reviews for my new cozy mystery/sweet romance novel, Coda to Murder. I discovered two more FIVE STAR reviews were added to the review section at amazon.com/ for Coda to Murder! Reviewer M. L. Lanouette said, "I enjoyed this mystery on so many levels. The mystery drew me right in, as did the romance and the inspirational message of the story. I read it in one night, couldn't put it down. I highly recommend this story." Reviewer Rochelle Weber said, "It was a fun read about a woman who lives and practices what she believes. I can respect that, and enjoy my friend's talent for spinning a tale that keeps me on the edge of my seat wondering who did it and laughing out loud at the same time. Yeah, it's a great Contemporary-Cozy Mystery-Romance with a bit of Inspiration thrown in if you want some. I highly recommend Coda to Murder." 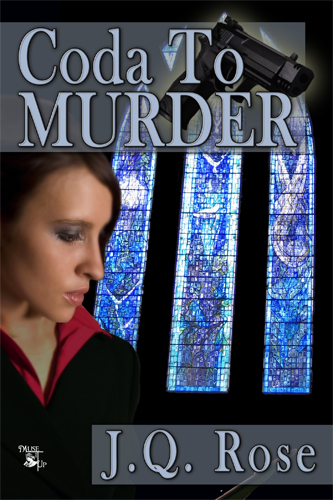 Download a sample of Coda to Murder at MuseItUp Publishing, amazon.com, and all major online booksellers. I need a housekeeper and a maid and a cook ... so I can sit down and read this book in peace and quiet!